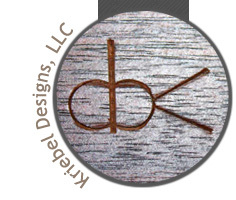 Kriebel Designs is not cutting-edge statements of current fashion. 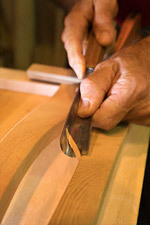 Rather, we're a synthesis of what has been given us by craftsmen and designers of the past. Being a small family business, we have been indoctrinated and apprenticed to the craft since birth and enrolled in a lifelong apprenticeship. Being taught by one of the last to learn from the old masters of the techniques lost to the modern age and technology gives us an innate ability to reproduce period correct pieces that are identical to historic examples. 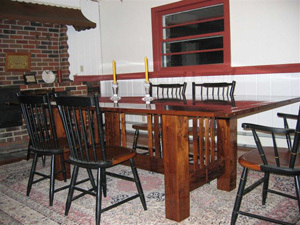 This early 20th century mission inspired dining room table in Pennsylvania black walnut is one of many of our custom designs. (Roll mouse over image for larger view). Click the Design tab in the top menu for many more examples. 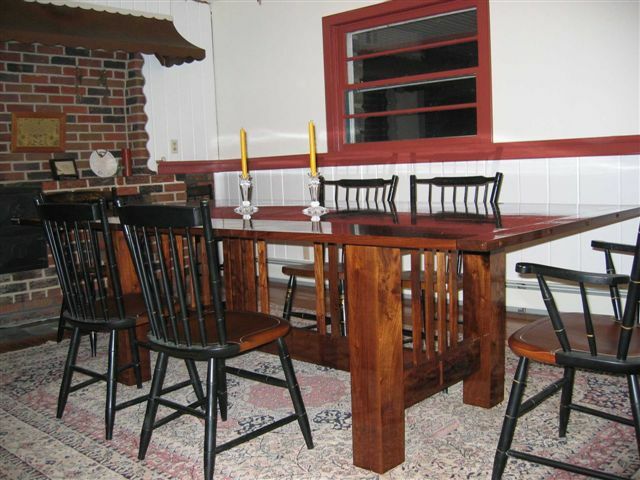 Everything we build is custom made to order – handcrafted the old fashion way, with quality materials and fine workmanship.